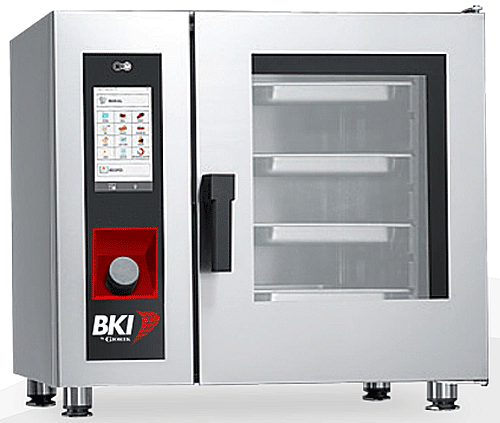 The BKI® Combi-King® ETE061R combination oven provides maximum flexibility—use moist heat, dry heat, or any combination without the use of a boiler system. Our Meteo System constantly monitors the climate inside the cooking chamber so you can maintain the exact degree of humidity, anywhere from 0% to 100%. 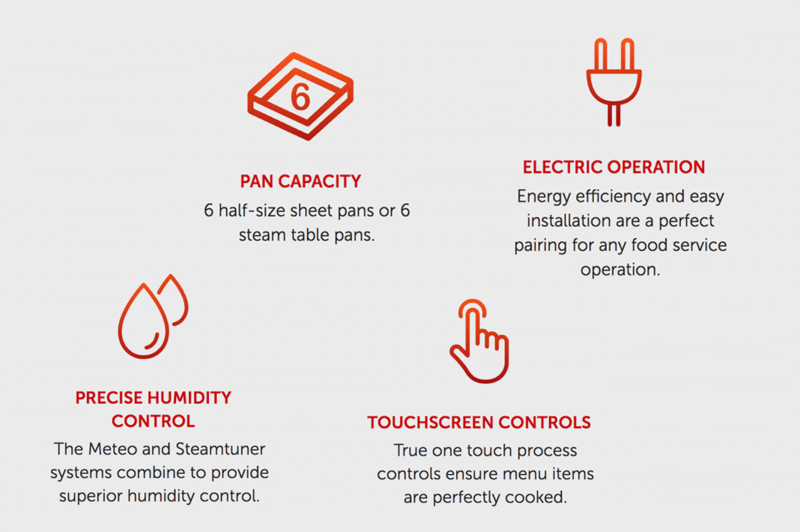 Taking it a step further, our SteamTuner system adjusts the hydration level of the steam from very wet to very dry depending on your menu items. These two systems work together to deliver instant steam and assures the perfect volume of steam without the de-liming and maintenance issues associated with traditional boiler systems. The result is absolute control over the chamber environment.